The widest selection available! Printed boxes in every style & size. Box Printing is our Speciality! Premium Corrugated Boxes: our MOST POPULAR boxes! 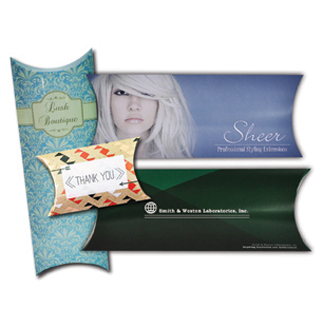 Strong & rigid, great for product packaging and mailings. Budget Corrugated Boxes: our most economical solution printed directly onto corrugated without film lamination. Not sure which Corrugated Box is right for you? Click to Compare Premium and Budget Corrugated Boxes. Cigar-Style Boxes: turned-edge wrapped printed rigid boxes with an elegant appeal. Corrugated Tray Inserts: printed or unprinted corrugated platforms custom designed for your products. 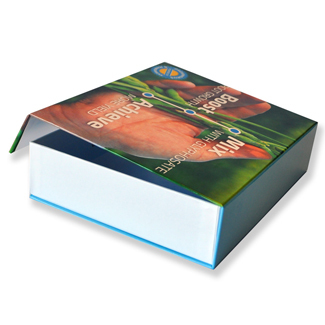 Paperboard Boxes: folding-carton style printed boxes for general promotional use. 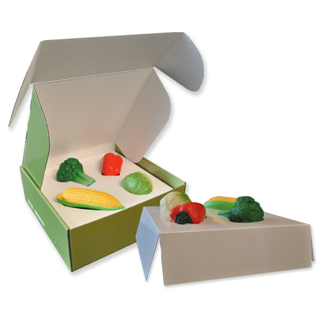 Paperboard Pillow Boxes: folding-carton style printed boxes made with food-grade 100% recyclable stock. 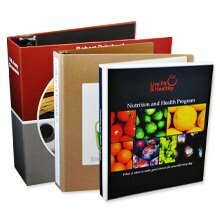 Sales Boxes: marketing collateral kits available in corrugated, paperboard & double-thick paperboard. Paperboard Gable Boxes: folding-carton style boxes that feature a built in handle. ThePaperWorker has been in business for over 60 years - Most of our products are available with Low Minimum Quantity. Chat, Email or Call us today at 877-522-6523. Our boxes are manufactured using the highest quality corrugated, paperboard and chipboard. Because of our state-of-the-art offset and digital capabilities, ThePaperWorker is able to offer a variety of solutions for printed boxes and packaging. No matter the project scope, we can deliver the printed boxes that will make your brand shine! Which style of box is right for me? Durable & stylish, ThePaperWorker’s Custom Sized and Printed Corrugated Boxes are perfect for product packaging, shipping boxes & mailers! ThePaperWorker’s Corrugated Boxes are strong & rigid, and feature brilliant full-color printing. ThePaperWorker offers over 50 styles & sizes of Made-To-Order boxes – including Create Your Own Size Corrugated Boxes. These are much more than cardboard boxes, so add your artwork or add your logo to ThePaperWorker's personalized boxes and enhance your next marketing promotion! ThePaperWorker’s Budget Corrugated Boxes are our most economical printed corrugated boxes. They function the same as our Premium Corrugated Boxes; the difference is that we print directly onto the 200# eflute corrugated and we do not apply any outside coating or film lamination. Our Premium Corrugated Boxes cost more than our Budget Corrugated Boxes because the print quality is superior and because we film laminate our Premium boxes which gives them a brilliant look. With our Budget Corrugated Boxes, the print quality is very good, but not everyone can afford a ‘premium’ look. Budget Corrugated Boxes allow you to source full color, custom printed boxes at a reduced price point and still be able to achieve a professional look that is perfect for product packaging, shipping boxes & mailers! A Packaging Design exclusive to ThePaperWorker! Our Rigid Boxes with Casing are high-end presentation boxes, and are an elegant way to showcase your brand. Available in two styles, these rigid boxes (also called Cigar Style Boxes or Turned Edge Boxes) are extremely durable like a hard-cover book, and feature printed graphics on all sides. These boxes can be finished with Velcro or Magnet Closure Options, and your choice of gloss, matte, matte velvet, and scuff free laminations. A high end packaging style that won’t break the bank, try the ThePaperWorker’s Rigid Boxes with Casing! Download a template and start designing your own presentation packaging online today. Corrugated Tray Inserts are designed to fit your promotional product. 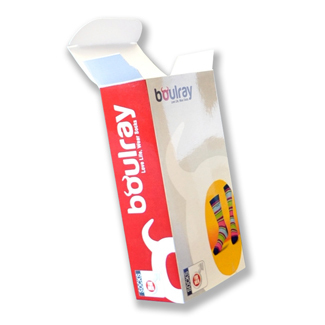 Tray Inserts are available for any of ThePaperWorker’s Corrugated Boxes and Rigid Printed Boxes with Casing. Our designers will work with you to create a tray insert that fits perfectly in your box that will both protect & display your promotional item. 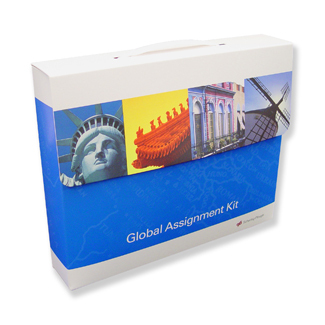 These packaging tray insert are available in any size, and are available in full-color print or unprinted white. Out Boxes and Corrugated Tray Inserts are available in Low Minimum Quantity – so look no further than ThePaperWorker for designing your Promotional Packaging from start to finish! Paperboard boxes are thinner and lighter than Corrugated Boxes (think of Folding Cartons), but still just as eye-catching! ThePaperWorker’s Paperboard Boxes are printed in full-color with photo quality, and available in several shapes and sizes. Looking for printed gift boxes, givewaway boxes, or custom product packaging? Our printed paper boxes are cost effective and available in Low Minimum Quantity! 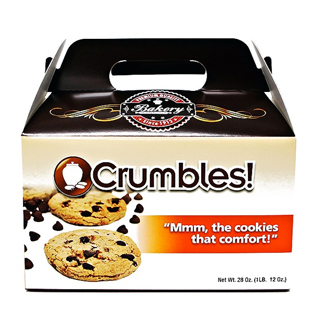 Paperboard Pillow Boxes are folding-carton style boxes that are great for marketing & promotions.ThePaperWorker’s Paperboard Pillow Boxes are printed in full-color with photo quality, and available in several sizes. Looking for printed gift boxes, givewaway boxes, or custom product packaging? Our printed pillow boxes are cost effective and available in Low Minimum Quantity! ThePaperWorker knows printed corrugated! Corrugated Sales Boxes are durable, professional, and made from 200# test corrugated e-flute and finished with your choice of outside coating. Unlike our standard line of Corrugated Printed Boxes, you can add carry handles and closure options to all styles of Corrugated Sales Boxes on ThePaperWorker! These are the perfect printed packaging style for a small business – just add your own artwork and these Corrugated Sales Boxes will surely help to get your brand noticed! ThePaperWorker’s Expandable Sales Boxes are a hybrid of Folders and Paperboard Sales Boxes. Accordian-Style gussets on sides & bottom allow these boxes to ship flat, and expand to capacity during use. Available in 4 styles, ThePaperWorker’s Expandable Sales Boxes are printed on 16pt stock in low quantities, and 18pt stock in larger quantities. If you are looking for presentation packaging that is practical & attractive, try these expandable designed boxes from ThePaperWorker. ThePaperWorker’s Paperboard Sales Boxes (also referred to as Tote Boxes or Printed Presentation Boxes) are the perfect style of box to hold documents and business/marketing collateral! These sales boxes are sleek, professional looking business packaging, and are available in 3 styles! ThePaperWorker’s Paperboard Sales Boxes are printed on 16pt stock in low quantities, and 18pt stock in larger quantities. Our Paperboard Sales Boxes allow you to select your own outside lamination, and closure options such as velcoins, magnets, and elastic loops. If you are looking for business-friendly presentation packaging that gets noticed, try Paperboard Sales Boxes from ThePaperWorker. Like all of our printed boxes, ThePaperWorker’s Double-Thick Sales Boxes are a packaging design that will make an impression on your clients! Available in 6 styles, these Sales Boxes from ThePaperWorker are printed on double-thick glossy paperboard to yield a 40pt box. Double-Thick Sales Boxes can be personalized with your choice of outside lamination, optional carrying handles, and closure options such as velcoins, magnets, and loops. If you are looking one of a kind Presentation Packaging for your business, check out the ThePaperWorker’s Double-Thick Sales Boxes – there’s nothing else like them on the web! Paperboard Gable Boxes are folding-carton style boxes that feature a built in handle and a unique style that will make your product stand out. 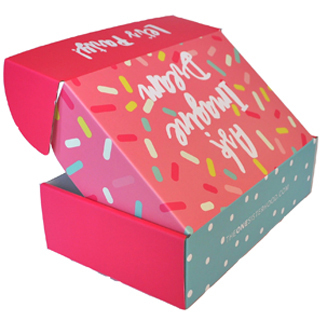 ThePaperWorker’s Paperboard Gable Boxes are printed in full-color with photo quality, and available in several sizes with Food-grade 100% recyclable stock. Looking for printed gift boxes, givewaway boxes, or custom product packaging? Our printed gable boxes are cost effective and available in Low Minimum Quantity! Our Low Minimum Quantity Boxes have been rated the highest quality boxes on or off the Web, and we take pride in producing only the highest quality boxes and packaging for your brand. We guarantee you will be thrilled with the quality of ThePaperWorker’s Packaging designs. Our team of experts includes structural packaging engineers, designers, finishers and service staff all under one roof. We thrive on delivering top quality, functional and durable products, by being innovative and imaginative. It's a continuous process to improve and our commitment to excellence that separates us from our competitors. Our packaging designs and one-of-a-kind printed boxes are built to impress! Check out our blog for more examples of personalized boxes and packaging designs our clients have used to grow their business. Don't see the printed box you need on ThePaperWorker? We suggest you start in our most popular category - Premium Corrugated Boxes where we offer hundreds of sizes to help you get the size you need including Create Your Own Size Corrugated Boxes. If you want a completely unique box style, or something that you do not see on our website, then we are happy to offer you a custom quote! Contact us directly using our online form, and a team member will be in touch with you to discuss your packaging design!